Whether you’re looking to bring your dream home to the next level or increase the value of your Houston, TX property, Residential Elevators is the nation’s leader in home elevators. We provide the highest level of home elevator talent and craftsmen in the Houston, TX area. As a family-owned company, we are committed to providing our customers with safe, innovative and long-lasting in home elevators.  At Residential Elevators, we offer the highest level of home elevator installation services as a means of adding luxury, value, and accessibility to a residential property. With Residential Elevators, homeowners are able to customize features allowing them to truly define their one of a kind creation. Our team of qualified home elevator design and installation experts will work closely with you to design the elevator of your dreams. Homeowners can personalize design elements like wood species, ceilings, handrails, fixtures, and gates. We offer several elevator series options including classic, signature, vintage, estate, shaker, reserve styles to list a few. Each design style offers a different look to match the interiors and aesthetics of any home decor. The timeless craftsmanship provided by Residential Elevators in Houston, TX offers a solid, durable and beautiful product that is designed to stand the test of time. A home elevator can enhance the lifestyle of our customers. At Residential Elevators, our design, craftsmanship, installation services, and warranties provide luxury and convenience. We handle every element from meeting with the general contractor, architect, and electrician to facilitating the installation process, making your experience as smooth as possible. Our experts will also handle any legal logistics as far as making sure your home elevators is permitted and inspected per code where requires. After a home elevator is installed, homeowners can choose from an option of maintenance plans in order to protect their investment and ensure their elevator is performing at its optimal and safest levels. At Residential Elevators, we recommend that home elevators be maintained, at a minimum, yearly for preventative maintenance. Our preventative maintenance services include keeping the equipment clean and catching minor issues before they possibly become more severe. In an ever-increasing competitive housing market, it is important now more than ever for homeowners to differentiate their properties when it comes time to sell their home. A home elevator is the perfect addition to any property. Installing an in-home elevator can dramatically increase the property value of a home, attracting potential buyers who are looking for luxury and convenience. Our home elevators have an industry-leading capacity of up to 950 pounds and 15 square feet of usable space, which is the largest size and capacity allowed by the National Code. Our team will also assist in not only keeping your home elevator’s technology up-to-date, but we also help your home elevator’s style stay modern. We can upgrade the elevator cab or components to the latest versions of products available. The decision to install an elevator can considerably reduce the risk of accidents like falling down the stairs especially for elderly homeowners or individuals with physical disabilities. Our in-home elevators can provide wheelchair accessibility to homeowners and guests. Our residential elevator’s state-of-the-art features guarantee safety and usability. The entire elevator is protected by our whole-system safety circuit which prevents it from being used if any of the safety features are not properly functioning. Every residential elevator comes equipped with a backup battery that allows the elevator to proceed to the next floor in the event of a power loss. Our door lock feature also prevents an elevator door from opening while traveling through the elevator shaft. If you are considering building a home elevator in Houston, TX, it is crucial that you consult with a qualified home elevator expert from Residential Elevators. Our experienced team of elevator professionals will guide you through choosing the right model type and design that fits your requirements, pre-installation planning, installation, and even repair and maintenance. To speak to one of our home elevator professionals, please call us at 800-832-2004. Call us at 800-832-2004 to learn more or receive a quote.